The equestrian Theater Zingaro is installed in the Fort of Aubervilliers since 1989. It is at the request of Bartabas with M. Jack Lang’s support, then Minister of Culture and of M. Jack Ralite, Mayor of Aubervilliers that this project was able to be realized. 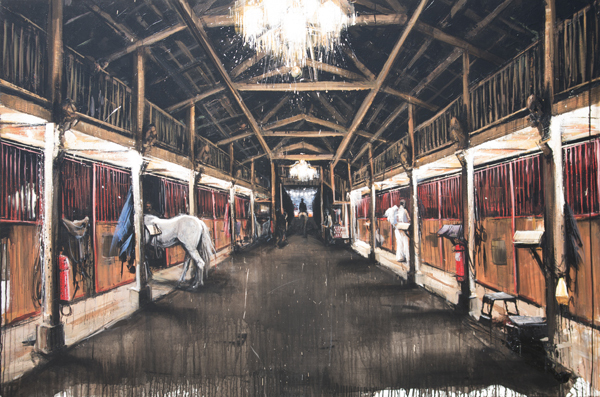 Bartabas wanted a place which corresponds to the identity of the kind of shows which it invented: the equestrian Theater; have the minimum of installation to keep working on the development of its art with its horses and artists. The theater Zingaro today known all over the world welcomes more than 60.000 spectators a year for the shows conceived by Bartabas. It is the place of creation and representation of the shows of Zingaro but also the place of life for the artists of the troop as well as the administrative and logistic base of the company. The theater, conceived by Patrick Bouchain, is a wooden building. One of the first desires on the construction was to give to the spectator the impression to enter there and to be already in the show. So, the place is just like a cathedral, a market, a workshop, a barn, wooden clear, conceived at the same time according to the direction of the shows and the wanderings of the spectators. About forty people and as many horses, all participating at Zingaro, took up residence around the theater. 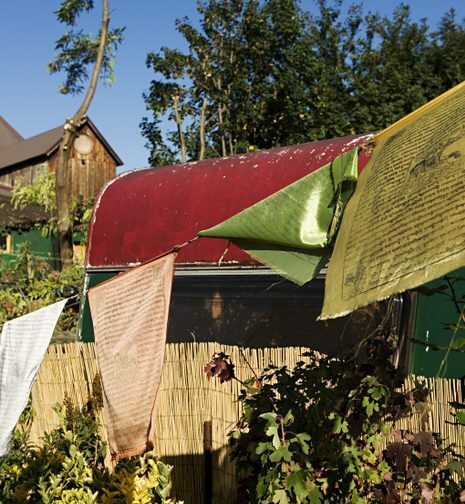 Caravans, trucks, small houses and stables live by forming with the theater and the restaurant a harmonious whole which, although near Paris, give to our visitors the impression to have escaped a few hours… somewhere else. In the style of the farmers who lived out of necessity over cowsheds, this is the way, little by little around our wooden big top and around its stables, the daily landscape of Zingaro organized itself. Without the help of an urbanistic architect, each organized its plot, its caravan, at his convenience, freely, but by the common love we carry in horses, by the rigorous requirement we share in the work, we find, in an unsaid way, to share the same sense of harmony. 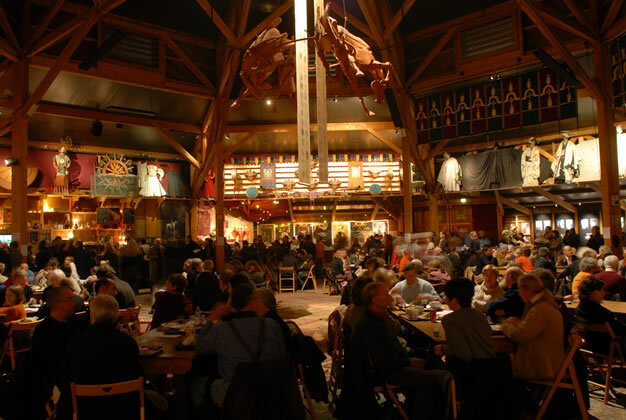 Built in 1997 by The Carpenters of Paris and completely decorated with costumes and accessories of our previous shows, the restaurant is a space quite wooden, very warm polygonal, which could welcome up to 500 people. In cooking and in room, the team of Riton and “Chaud after Show” invites you every evening of show before and after the representation. Before the representation, the light restoration and house is proposed. To have dinner after the show, thank you for booking on the spot or, for the groups from 15 people, at jray.laville@gmail.com. NB: no restoration at the end of the show on December 24th and 31st.